The Bartlett Summer Show is the biggest annual student architecture show in the world, with over 600 students taking part every year. Graduate students from the school’s Architecture MArch (ARB/RIBA Part 2), and undergraduates from Architecture BSc (ARB/RIBA Part 1), Architectural & Interdisciplinary Studies BSc and Engineering & Architectural Design MEng will exhibit their work across all seven floors of The Bartlett School of Architecture, 22 Gordon Street. 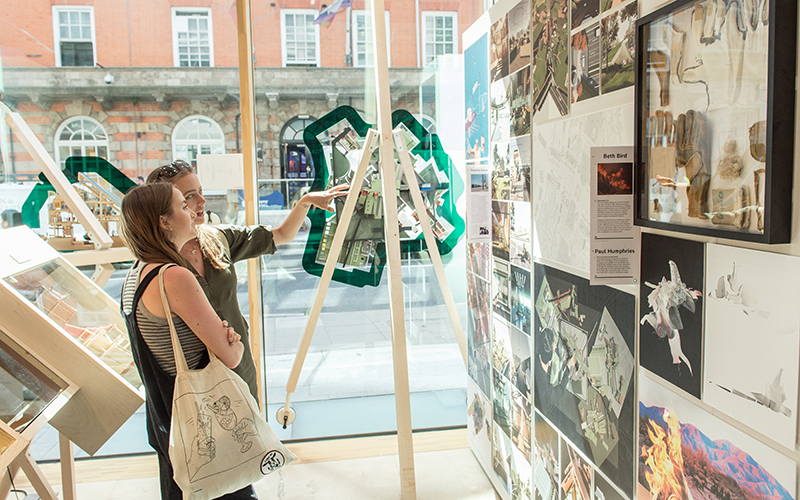 Last year’s Summer Show attracted more than 10,000 visitors in its two-week run and included themed student-led tours, a Family Day of workshops and open days for prospective students. Undergraduate work explored themes ranging from the fourth industrial revolution in Essex to the future of the Swiss Alps, whilst Master's students presented work which spoke to themes including the landscape of margins, the architect as protagonist and intimate megastructures. A chance for exhibiting students to share their work with their peers, tutors, friends and family. Speeches, prizes and dancing in the UCL quad to celebrate the launch of the exhibition.